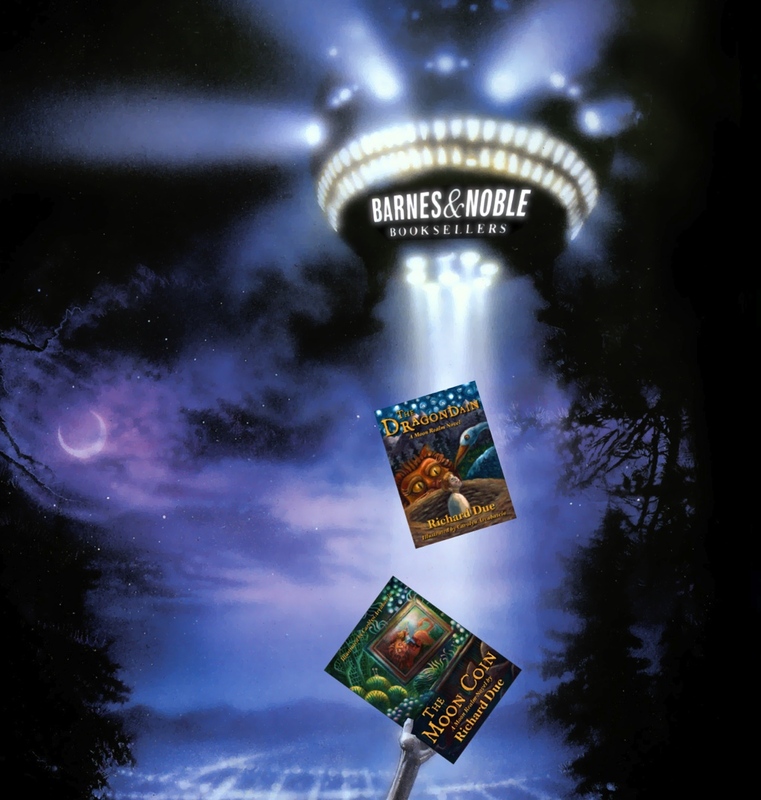 Crossover: the Moon Realm Invades Barnes and Noble Bookstores Everywhere | "Tales, unlike stories, never lie." 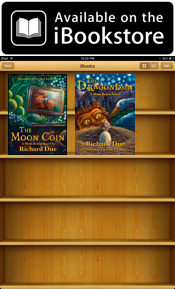 « NEWSFLASH: The Moon Coin and The Dragondain are now in Barnes and Noble’s brick and mortar bookstores! I wish I had a more exciting tale to tell, but getting a self-published book into Barnes and Noble is all about time, diligence, and whether or not they want your book. That was a fine day. Since the second book in my series, The Dragondain, had come out in December, and since my original contact from Barnes and Noble had changed since last November, I decided to send my new B&N contact new copies of both titles. She called a few weeks later to say they were going to order The Moon Coin, and that The Dragondain was now being reviewed by their buyer. During that time, Gibbering Gnome Press set up its account with B&T. 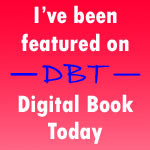 I sent copies of books to my contact at B&T at that time, too. Soon, I was in B&T’s system. On July 18th, the day before I was leaving for vacation, the first two purchase orders from B&T rolled in. So, instead of packing, I spent the evening thumbing through a 55 page document on how to make a proper shipping label for B&T’s warehouse. It involved me—I’m Gibbering Gnome’s typesetter, among other things—generating a label containing six barcodes. I’d never made barcodes before. I mean, I’d order them from Bowkers, of course, but never made them from scratch. By midnight, though, everything was boxed and ready to ship. I did what packing I could, then finished up in the morning. We sent the books off as we left town. Unrelated to all this, I’d been in contact with a B&N Children’s Book Manager since last summer. Her store is in Utah. She’d contacted me on GoodReads, and wanted to know why my books weren’t in B&N’s catalog, Bookmaster. I’d told her I was trying my best. We kept in contact during this whole process, and, now that my books were in the system, she ordered copies for her store. She’s picked out a display, and Gibbering Gnome Press has sent her posters and postcards adverts. Now all I need to do is sit back and watch the purchase orders roll in, right? Ha! If only it was so easy! But seriously, my job now is to run around to local B&Ns and independent bookstores, handing out free review copies and letting them know that I’m in B&T, or, in the case of the B&Ns, that I’m in Bookmaster. If I’m lucky, I might be able to get in on a few signings. Copyright © 2011, 2012 by Richard Due. All rights reserved. A helpful and interesting read. In many ways it’s no different for you than for a book published with a ‘big’ publisher minus me making barcodes! I mean, you had to do -everything- to get it to them, but once it’s available to B&N stores, what then? Unless you are a top seller from a big publisher you don’t have any other advantages. Just having your book accepted and available by B&N for their stores doesn’t mean any stores will stock it. I found with my graphic novel that while it was in their system I saw it only once in a B&N store. They just have too many books flying at them I guess. So you really did the hard work to get your book read and available. Amazing considering the difficulties in your way. I feel like I should have been more active with local stores with posters and advance copies to try and get it shelved and known about. Every book is in the same boat now, whether from a big publisher or not. Trying to break into any kind of awareness with readers already overtaxed with media choices. Thanks! Although, I’d rather be with the big publisher. They have easier access to schools and libraries. Do you know how long it takes to make a list of every library in the US? Not to mention every elementary and middle school? Aie, crivens! And then there’s the printing of press kits, toner costs, postage costs, renting vehicles to get the stock from the printers, storing the books in my house, boxing and shipping the purchase orders. Visiting independent bookstores, giving away review copies, arranging book festival appearances, writing EVERYTHING: correspondence, press releases, postcards, posters, shelf-talkers, book award submissions jacket copy . . .
That’s all very true! The support that’s sort of behind the scenes makes a huge difference, and having done a few indy comics in my life, I know the work to put it out isn’t just on the page. I’m amazed at all the effort you have put into it. I certainly don’t mean to underestimate the efforts needed to put your book out. I think my expectations were always that if you actually got a book with a big publisher and it had an opportunity to get into B&N that it would be. That’s where I learned a few things the past 5 years. Now I am left wondering what else I can do to support my books in the marketplace as I know that the publishers can only do so much too. I hear you! 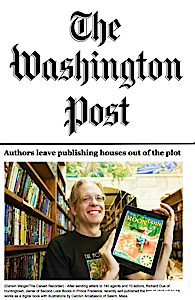 When my wife and I opened our bookstore (22 years ago), we knew the most important thing was location, location, location. As an author, though, all I’ve figured out so far is: fan base, fan base, fan base. Thanks for all your encouraging feedback, Mark. You’ve been very inspirational to me. I don’t miss a single one of your blog posts, and I love your work. Sooo, a few questions please… how do you apply to and get Baker & Taylor to take on your book? Do you just apply to be a vendor? What have they had you do since you joined them? Is it expensive? Yes, you apply as a vendor. I applied to other places, too. Rates vary with distributors and wholesalers. Most wholesalers take 55% off the top, and most distributors take 65%, plus you pay for the shipping to their warehouse. When they ask for a box of 5 or 10 books, the postage gets spread out rather nicely, but when they ask for less, you take a serious hit. How does this model work if you are not printing the book yourself. For example. Lets say I have a print on demand company printing my books. What would that mean for me to become a vendor for B & T? I have no idea. Sorry, but I’ve never made a print on demand book. It’s the consignment percentages that have me stumped. Can you explain why they insist on so much? Bookstores charge what they need to in order to make a profit. It’s that easy. There are lots of costs to schlepping around books, storing them, getting them onto the floor, etc. This is a fabulous story about perseverance. Thanks for sharing it with us. As an author, it definitely encouraged me. Congratulations! I figure it’s worth a shot. Thanks for the blueprint, Richard. But aren’t we finding out that we’re spending more time as a marketer than we are as a writer? That hasn’t been my experience. For every nine hours that I spend writing/editing, I spend approximately one hour marketing/production/shipping. I went through the same process back in 2009. Got my sci-fi, Space Chronicles: The Last Human War, into B&N by going through a national wholesale distributor. It was a wonderful day when I placed their first order. Truth is, I did not make enough money on the B&N sales to make it worthwhile. On the other hand, it gave my book a certain “credibility” and independent bookstores quickly began offering the book. In addition, I sold author signed copied directly from the publisher website…of course, I owned the publisher, so I made good money on those books. I also sold to book clubs and other organizations in person so I earned back the entire cost of publishing in the first 500 books sold. Still, I stopped marketing the book when the first printing ran out. The process was too slow. I needed a mainstream publisher that offers access to widespread marketing in order to make a reasonable income as a writer. I’ve only just started with B&N, so I don’t know how that’s going to work out. It’ll be clearer next year. I found book signings to be fun and productive. I averaged 6 book sales per signing, but by far, book signings at Indie bookstores were much more productive. 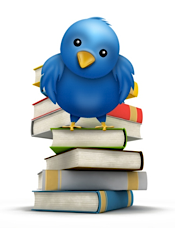 Ultimately, I decided that the same amount of money and time spent on eBook promotion was far more profitable. I hope your B&N experience is more productive than mine was. Of course, mine was four years ago when B&N looked down their corporate nose at self-pubbed authors. I think their attitude today has changed greatly. Good luck…Dean. Yes, I really enjoy book festivals, too. 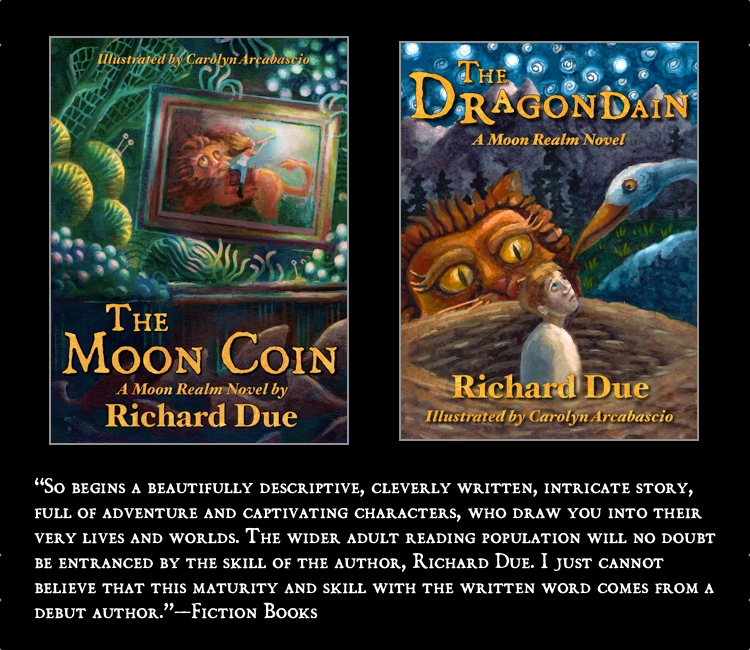 I’m going to be at the Baltimore Book Festival for three days next month, signing Moon Realm books. I’m sure you’re right, that B&N is more open to self-published books than they were in 2009. Interesting store. Tired me out. Need a nap. Beautiful covers. Great read, however, I have a question for you. I’m about to submit my children’s book to Barnes & Noble and was wondering did you send just a book or did you send a marketing plan and everything to them? Thanks for your time.